So yesterday was Samhain (and thank you to the many friends who sent me greetings for the holiday). Today is the beginning of Dia de los Muertos. People will visit their beloved dead, building altars at the graves of deceased family members and leaving food offerings, flowers, and the beautifully decorated sugar skulls that the holiday is known for. Unfortunately, my dead are several states away from me, and we have never celebrated at the grave of my mother-in-law whose plot is actually quite close to us. So any sugar skulls I might have available to me are ungifted except for the one I give to all of you below. We had a lot of trick-or-treaters last night - more than we have ever had in the past. I began getting them around 7pm and turned my lights out at 9pm. I must have had at least 50 college students, all appropriately costumed out. I think the camel was my favorite, there was an "arab" woman who led her "camel" via a leash. The two of them were very cute. There were lots of great zombies, a witch or two, and just general good times concocted by active imaginations. I loved the creativity they were showing. I had a lot more guys this year, I'd say a 2:1 ratio of women to men. The students go around in packs of three to more than a dozen and I give two pieces of good candy to each, so we went through a lot of candy. That made me very happy because I would rather see it on other people's hips instead of my own :-). 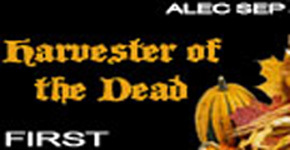 A story of mine, "Harvester of the Dead" actually tied for First Place in the ALEC contest for September. I am enjoying my 15 seconds of very transitory joy to the max. But I do feel that I should be writing "Thank You" notes to my friends Aearwen and Fiondil for having not entered stories in that month. Their skills are far above mine and I always lose to one or both of them - justly so. But still, I am pretty stoked that I actually got a win after not even getting an honorable mention the prior month. Enjoy All Saints Day. ACK!!!! I also MUST thank my beta, Russandol. She very kindly stepped in at the last minute to go over the story for me and it made a HUGE difference! Shame on me for not putting this down immediately, it only proves that I was too tired to think properly when I originally composed this. Thanks, Shirebound. I really did have fun. I also got a good start on editing my next story and there was a lot going on watching Ghost Hunters Live - always fun for Halloween night. I hope you and Pip had an equally fun night. Well done - and I do like the look of the iced skulls. Thanks so much, Curious. 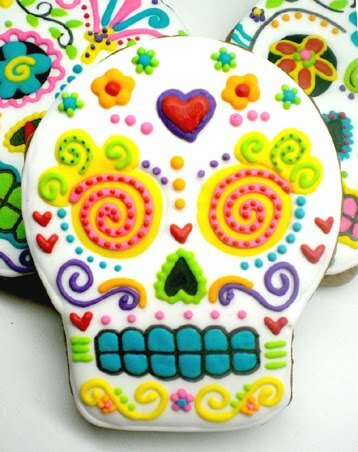 I love the sugar skulls, some of them are so beautifully decorated. You're very sweet. I update my stories as they are finished and post on Faerie, Many Paths to Tread, and Silmarillion Writers Guild (for stories that fit within their timeframe criteria). I am very honored by your dedication and hope that my future works continue to merit your devotion. Congratulations! I'm glad you had fun last night. It was just a hoot. The costumes that the kids come up with are always inventive and usually very low-cost because, after all, they are college students and therefore poor. They have such a good time going trick-or-treating that I can't imagine not indulging them. The world is a cold and harsh place sometimes and little bits of joy should be encouraged.